Aminda (Mindy) Marques Gonzalez is Executive Editor and Vice President for news at the Miami Herald. Born in New York to Cuban immigrant parents, Marqués began her career as an intern at the Miami Herald and rose through the ranks to become the paper’s first Hispanic editor in 2010. She is only the second woman to hold the post. Her career has included assignments as a metro reporter, assistant city editor and deputy metro editor, directing the Miami Herald’s local, state and community news operations. She left the paper in 2002 to work as Miami bureau chief for People magazine, overseeing coverage for the southeast U.S., the Caribbean and Latin America. She returned to the Miami Herald in 2007 as a multimedia editor. She later was promoted to Sunday/Features editor, senior editor for news and named managing editor in May 2010. During her tenure, the Miami Herald has been a Pulitzer Prize finalist three times. The Herald was breaking news finalist for its 2010 coverage of the earthquake in Haiti. In 2012, the Miami Herald was a finalist in public service for an investigative series detailing Florida’s systemic failures in regulating assisted-living facilities. In 2016, the Herald was a Pulitzer Prize finalist in local reporting for a series that detailed a local drug sting operation that cost millions but yielded no arrests. The Miami Herald has won 20 Pulitzer Prizes in its history. 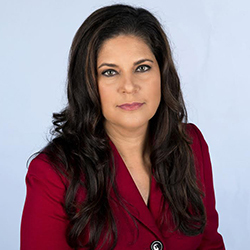 Marqués is a 1986 graduate of the University of Florida, where she was honored as an Alumni of Distinction by the College of Journalism and Communications in 2012. She serves on the board of the Pulitzer Prize and is the current President of the Florida Society of News Editors. She is also on the advisory councils of the Journalism and Women Symposium and the Lillian Lodge Kopenhaver Center for Women in Communication at Florida International University.